The Training Australia Apply First Aid Course provides the skills and knowledge required to provide first aid response to a casualty. 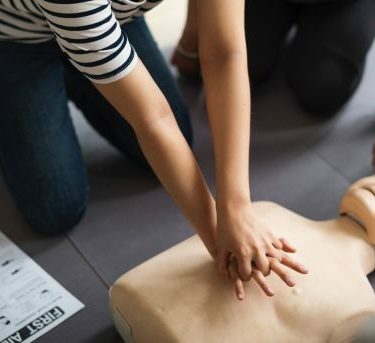 The training applies to all workers who may be required to provide a first aid response in a range of situations, including community and workplace settings. ✓ This course has the skills and knowledge required to provide a first aid response to a casualty. situations, including community and workplace settings. Perform uninterrupted single rescuer CPR, on adult & Infant Manikins. Nationally Recognised Training (NRT) Logo on it.